OREweb.ca® carries a range of Shredder Collection Carts and Lockable Collection Consoles / Cabinets and bins for shredder waste collection and bulk disposal. These shredder accessories are durable, long lasting and allow for easy collection and removal of bulk shredder waste or storage until final disposal. High quality wooden shredder console cabinet / Self-locking cabinet door with tamper proof lock guard. Multiple consoles can be accessed with a single key. 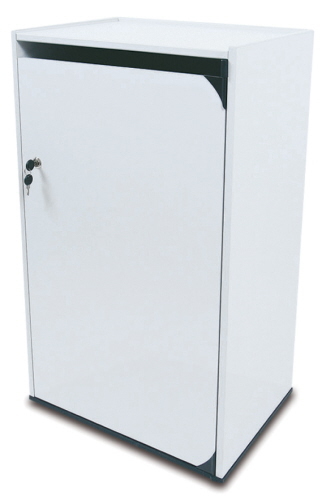 This locking Shredder Collection Console Cabinet is a must for busy offices where storage of shredder paper can be stored until moved to central shredder locations for final disposal. Convenient, environmentally friendly collection bin does not require disposable shred bags. 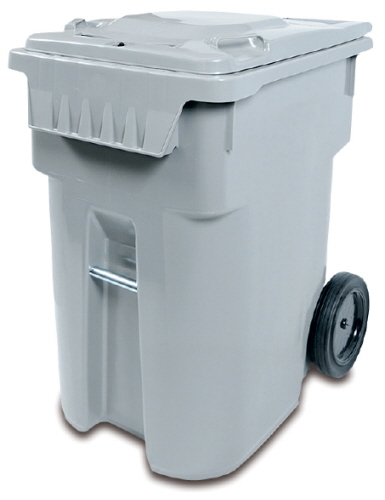 Dimensions 16" x 21 1/2" x 36"
95 Gallon lockable, high density mobile bin for shredder waste collection. 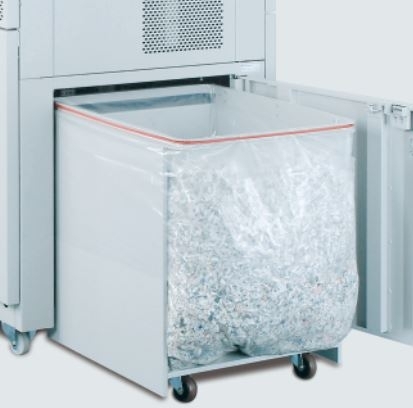 Store large amounts of confidential documents for easy transport to shredder room. Super strong, high density plastic construction. Convenient, environmentally friendly collection bin for temporary storage and collection of documents and paper for shredding. Dimensions 34" x 24" x 44 1/4"
High capacity waste collection bin for Destroyit 5009 commercial shredder. Easily remove waste bin for final disposal or recycling of shredded waste. 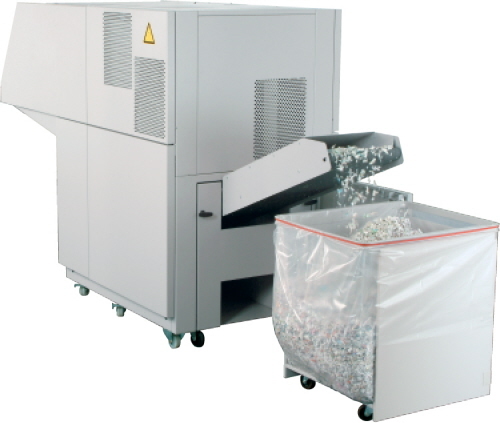 This large volume collection bin is specifically designed for the Destroyit 5009 Shredder. But, it can be used in other configurations with conveyor belt shredders.